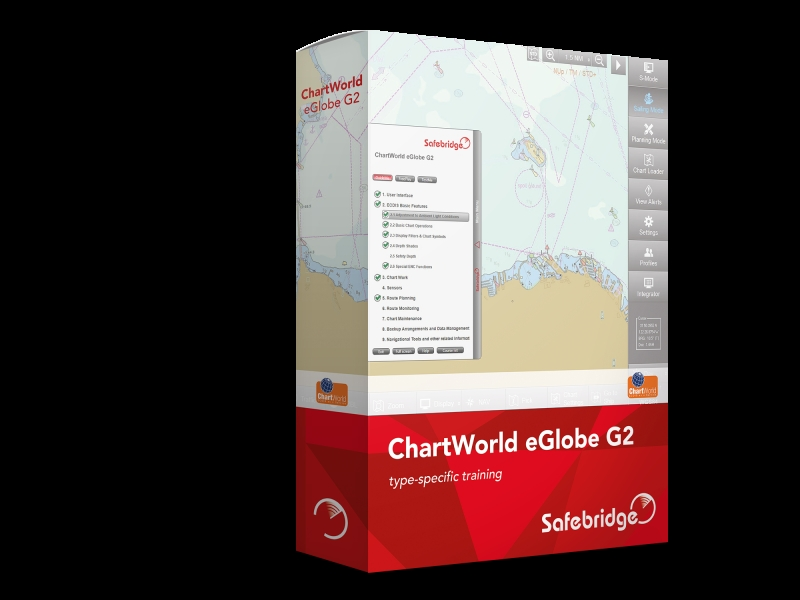 The ChartWorld eGlobe G2 type-specific training course provides officers with the system knowledge required to use this ECDIS for watchkeeping in accordance with the regulations of STCW and the ISM Code. The guided tutorial, with a duration of approx. 16 hours, covers the equipment familiarisation requirements of IMO Model Course 1.27 and MCA MCA MIN-503(M) for the functions and controls of the ECDIS eGlobe G2.